A Story of Canadian Art is a major, national touring exhibition organized by the Justina M. Barnicke Gallery featuring forty-one works drawn from the celebrated Hart House Collection of Canadian art. The majority of works in the exhibition feature classic images of the Canadian landscape – coast to coast – and were acquired between 1921 and 1950 by the Hart House Art Committee, a group comprised of students, artists, faculty, and staff at the University of Toronto. 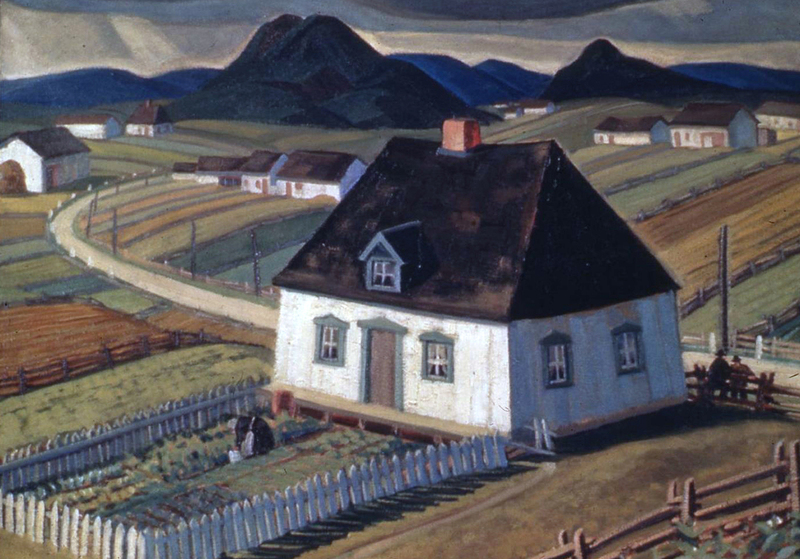 Showcasing paintings by renowned artists such as Emily Carr, Lawren Harris, Prudence Heward, A.Y. Jackson, David Milne, Lilias Torrance Newton, and Tom Thomson, A Story of Canadian Art at UTAC will be the first opportunity since 1987 for the University of Toronto community to view a major selection of the early 20th century collection. After critically acclaimed stops in Edmonton, Kitchener-Waterloo, Markham, and London, A Story of Canadian Art will open in an expanded form at the University of Toronto Art Centre before continuing its national tour. We gratefully acknowledge the operating support from the Canada Council for the Arts and the Ontario Arts Council, with additional project support from Manulife Financial. We acknowledge the financial support of the Government of Canada through the Department of Canadian Heritage and the Canadian Museums Assistance Program. Nous reconnaissons l’appui financier du gouvernement du Canada par l’entremise du ministère du Patrimoine canadien. Title Image: Charles Comfort, Young Canadian, 1932. Watercolour. Hart House Art Collection, University of Toronto, Purchased by the Hart House Sketch Committee.